Many patients often wonder whether or not a dilated eye exam is required for their yearly visit. Dilation during your eye exam is recommended, however, there are factors that almost mandate a dilated eye exam. 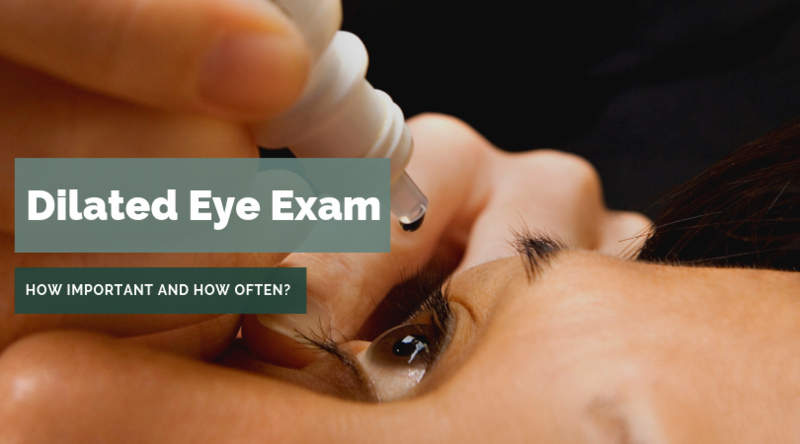 Your age, your overall health, and your risk of eye disease will impact the frequency of a dilated eye exam. A comprehensive eye exam is the single most way to ensure the health of your eyes. Many think they have healthy eyes but are unaware of early warning signs of common vision problems. Diabetic retinopathy: Signs include blood vessels that leak, swell, or grow abnormally in the retina. Glaucoma: Your doctor looks for damage to the optic nerve. Age-related macular degeneration: Protein or pigment buildup and unusual growth of blood vessels are symptoms of a breakdown of the macula. Your doctor can also spot problems like a torn retina or an eye tumor. Age. The risk of eye diseases increases with age—particularly over age 40. Eye health. If you’ve experienced eye diseases that affect the back of the eye, such as retinal detachment, you may have an increased risk of future eye problems. Overall health. Certain diseases, such as diabetes, increase the risk of eye disease. Reason for the exam. Are you in good health, under 40 and wondering if you need vision correction? You may not need a dilated exam this time, but know that you should have one at least every few years and more frequently as you get older. If it’s your very first eye exam, it’s a good idea to go with dilation for a baseline exam. You can discuss this with your doctor. If you have new, worrisome eye symptoms or vision problems, then eye dilation may be necessary to make a diagnosis. Results of previous exams: If recent eye exams have included eye dilation with no unusual findings, it may be possible to skip the eye-dilation portion of your next exam. Most annual eye exams are recommended to start at age 60. This does not mean that you should not get dilated every 2-3 years before the age of 60. African Americans are advised to start having comprehensive dilated eye exams starting at age 40 because of their higher risk of glaucoma. It’s also especially important for people with diabetes to have a comprehensive dilated exam at least once a year. To learn more about the importance of a dilated eye exam during your annual eye exam, contact our office at 781-251-2222.